TEWKSBURY - Mr. Joseph Gerard Lefebvre, 97, of Tewksbury, beloved husband of Anita M. (Lemire) Lefebvre, passed peacefully Friday, November 30 at Winchester Hospital with his family at his side. Joseph was born in Lowell MA, on April 18, 1921 the son of the late Joseph D. and Celia (Cote) Lefebvre. Joseph was a veteran of World War II, serving with the U.S. Army from 1939-1944. During his time in the service he earned the qualifications as a Marksman and Sharpshooter and specialized as a Radio Transmitter Operator. He fought at the Battle of Guadalcanal and the Battle of Bougainville. 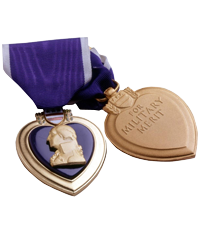 Upon his honorable discharge he received the Asiatic-Pacific Theatre Campaign Ribbon with 2 Bronze Stars, American Defense Service Ribbon, Good Conduct Ribbon and a Purple Heart. He was educated in the Lowell school system and later received his Associate’s Degree in physiology from – Northern Essex Community College. Joseph owned and operated Lefebvre’s Poultry Farm and Hypnosis Training Center in Tewksbury for many years. Prior to his retirement, he worked for Raytheon as a research and development engineer. He was a member of the Disabled American Veteran’s - D.A.V. – Chapter 110 in Tewksbury, the Knights of Columbus – Council #4336 in Tewksbury and the American Legion Post #259 in Tewksbury. He was also a member of the Amateur Radio Relay League (ARRL) and a longtime parishioner of Holy Family Parish in Lowell. In addition to his wife, he is survived by his six sons and seven daughters, Paul Lefebvre and his wife, Cindi of Pepperell, Bob Lefebvre and his wife, Patricia of Tewksbury, David Lefebvre and his wife, Tina of Tewksbury, Dennis Lefebvre and his wife, Lisa of Pepperell, Tom Lefebvre and his companion, Robin Geoffroy of Lowell, Bill Lefebvre of Lunenburg and the late Timmy Lefebvre of Tewksbury, Dottie Bourassa and her late husband, Richard of Tyngsborough, Betty Pollinger of Tewksbury, Lorraine Theriault and her late husband, Ronald of Tewksbury, Pauline Murphy and her late husband Richard of Phoenix, AZ, Janet Richards and her husband, Jedd of Windham, NH, Tricia Levesque and her husband, David of Methuen, and Diane Cowett and her husband Kevin of Middlefield, CT. There are 26 grandchildren and 17 great grandchildren. He also has two brothers and a sister in law, Donald Lefebvre of Nashua NH and Armand and Lorraine Lefebvre of Dracut; also countless nieces and nephews. He was predeceased by three brothers and one sister, Leo, Roland, Roger and Rita Levasseur. LEFEBVRE – Joseph Gerard Lefebvre. Relatives and friends will be received at the TYNGSBOROUGH FUNERAL HOME, 4 Cassaway Dr., Tyngsborough on Wednesday evening from 4 to 8 p.m. A Funeral Service will take place on Thursday morning at 10:30 a.m. in the Funeral Home. Committal Services and Military Honors will be private in the Massachusetts Veterans’ Memorial Cemetery, 111 Glenallen Street, Winchendon, MA 01475. In lieu of flowers, memorial contributions may be made in his honor to the Perkins School for the Blind, 175 North Beacon Street, Watertown, MA 02472 or online @ www.perkins.org or to a Veterans organization of your choice. 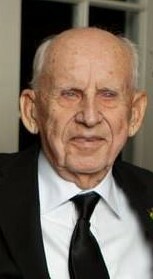 For online condolences or directions, please visit www.tyngsboroughfuneralhome.com.